I met a lot of people who were opposed to getting a van even after having kids. When I lived in the U.S. I used to hear comments like, “I don’t want to be labeled as a soccer mom” or “Vans aren’t cool looking.” It’s rather funny because once they drive and see the benefits of owning a van people eventually get one. 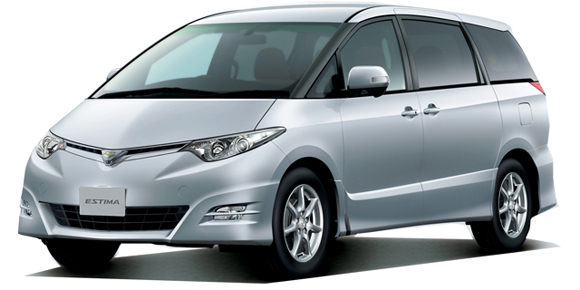 The van below is the Toyota Estima. 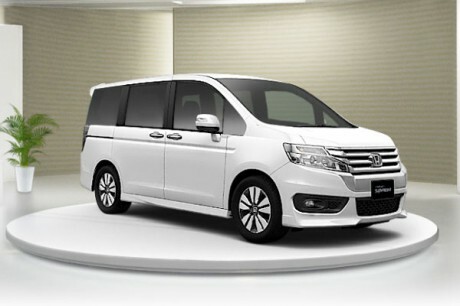 More minivans have been coming out with modern looks and better aerodynamics. Allow me to share with you my personal experience and opinion and share why I think vans are great. Sliding doors are awesome! Life is stressful as it is. The last thing you want to do is worry that you or your child will hit the car next to your’s when you open the door. With a sliding door you won’t have to worry about that. It makes it easier to get your infant, children, grandpa/grandma or anyone in and out of the vehicle in tight parking spaces. It also makes it easy to put and take out stuff like groceries, furniture and other items. Plain and simple. It’s ergonomical. Once on a cold windy day the wind caught the door when my wife opened the front door of our Toyota van. The door check broke off and left the big dent in on the front end of the door panel. I’m a DIY kind of guy but fixing the door check was a pain. Sliding doors can prevent these types of incidents as well. 2. Comfort, comfort and more comfort. If you have a family and love to go on long trips then owning a van is a no-brainer to me. If the kids get board put on a movie and wait for them to fall asleep. We have clients visit us at the Provide Cars office from various countries. We get groups and some of them can be larger in stature than the average Joe. 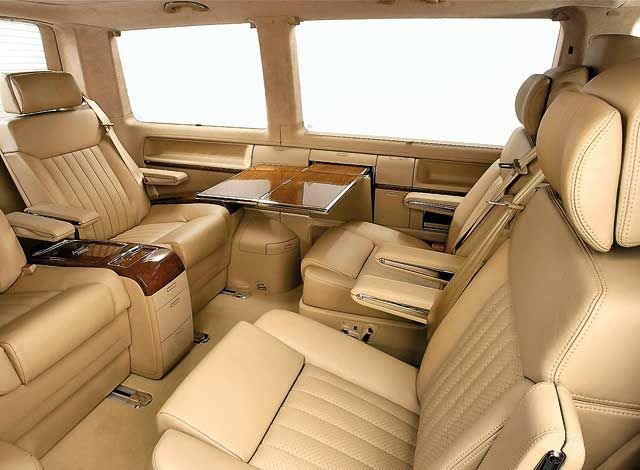 The spacious interior makes it a comfortable ride when we take them to the Japanese auto auctions or sight seeing. Trust me, you don’t want to feel crammed after a long flight. 3. I love the space! Most of us have moved from one place to another. Having a van makes it easy to transport items you would rather move yourself. I like to transport expensive electronics or precious items myself. Some vans allow you to fold the chairs into the floor or lift up to the side. Also, for those who love to go camping a van allows you to take more stuff! Although I wouldn’t recommend it I have seen people haul their mopeds too. 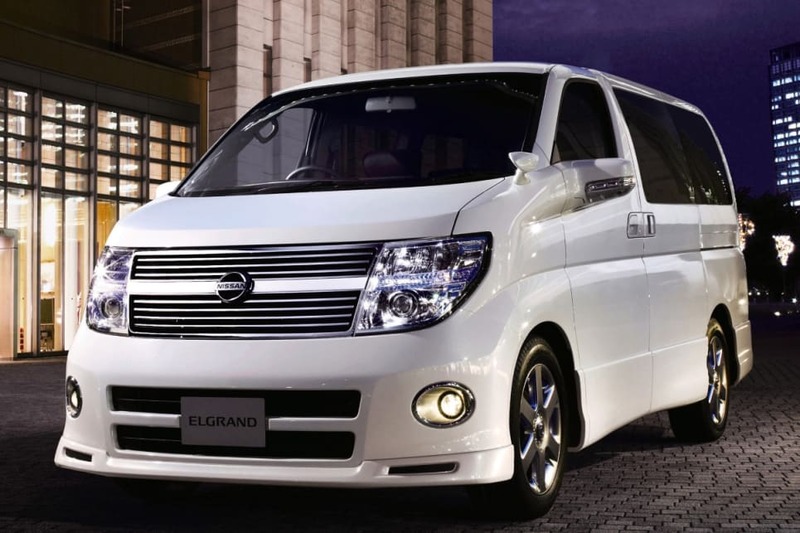 Nissan Elgrand is a top seller for us. 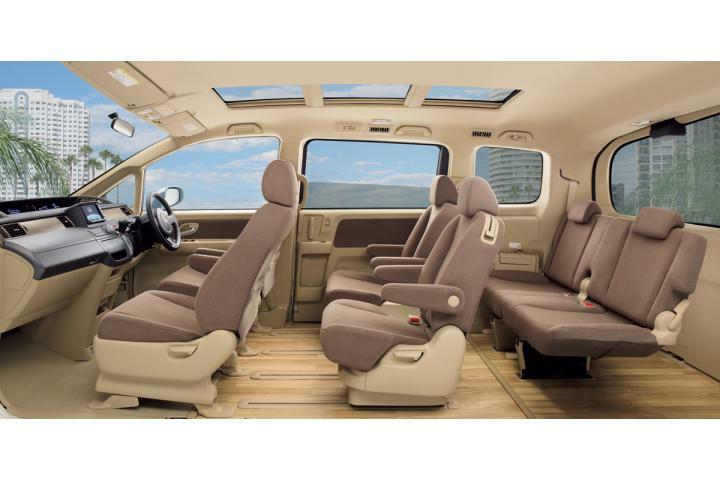 Honda Stepwagon is a great van as well with a nice interior. If you read my previous blog ” Used Car Ranking (Japan)” you may have noticed 5 out of the top 10 popular used cars were vans. The demand is there and they are not just for soccer moms anymore. Want to get one? Check out the Japanese auto auctions through Providecars.co.jp. 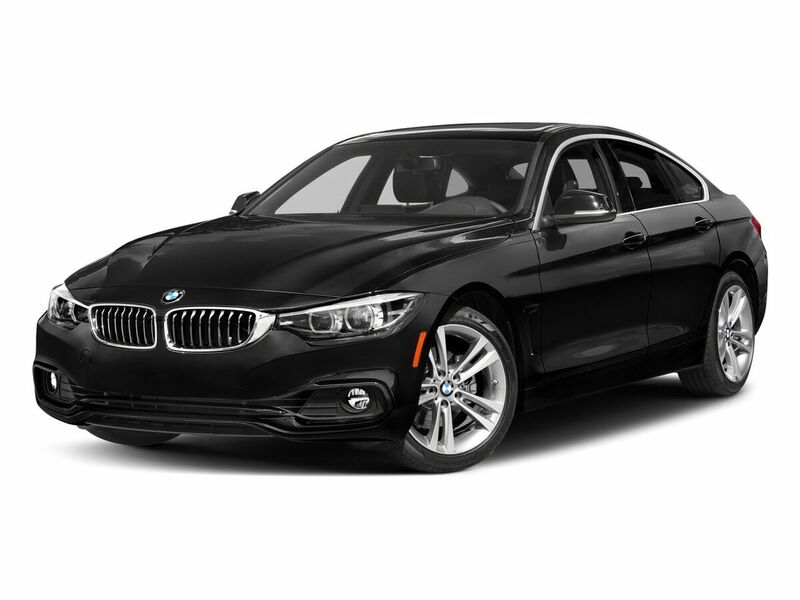 How are Cars Shipped overseas? Thousands of cars are shipped across the sea every year from Japan. Some ships can carry as many as 8000 cars. Considering the volume of cars that are sold at the Japanese auto auctions one has to wonder what kind of ships will be built in the future? A 10,000 car ship? As you can see in the photo below one method that is used to get the cars on and off the ship is the RoRo (Roll on/ Roll off). Another method is using shipping containers. Cars are held in place by cable wires. The photo below shows the Vert a Pac rail cars. It was a way to transport Chevy Vegas by placing them vertically. It was a way to cut transport costs. Preventative measures were taken to keep the fluids from pouring out from putting in an extra fuel line and placing the windshield wiper fluid at a 45 degree angle. Transporting methods have changed since the 1970’s. When one considers the entire process of getting a car from the Japanese auto auctions it’s absolutely incredible how every car is handled with care until it gets to it’s owner around the world. Japanese people love Mercedes Benz and BMWs. Why? They say it’s because European cars give them a sense of “prestige and class.” My office is located in an area in Kansai where the upper class live. I see a lot Mercedez-Benz, BMW and Audis in driveways when I commute to and from work. My good friend, who owns a large manufacturing company just purchased a 2018 Mercedes-Benz S450. I asked him why he chose a German luxury car over a Japanese luxury car? His answer was, “German cars have great acceleration. Japanese luxury cars don’t accelerate like the European cars.” I had to find out if this was true. My co-worker used to work at Toyota for almost 20 years and is the go to person when it comes to cars at the office. I asked him if it was true and his answer was, “It’s true. A lot of Japanese luxury cars have a time lag at initial acceleration for safety purposes. But if you want a car that will last Japanese cars are better.” Remember we are not talking about sports cars here. Most of you know that Japanese sports cars have one of the best accelerations. We’re talking about luxury cars. Most Japanese do not hold on to their cars for decades due to the car inspection system called “Shaken” (車検). Shaken can be very expensive especially if you need to replace any parts to pass inspection. Because of this many Japanese continue to buy newer cars. From the time you buy a brand new car you have three years until you need to do Shaken. If you decide to keep driving the same car you will need to do Shaken ever two years. If you kept your car for 10 years in some cases you will be spending over 10,000 USD. Instead of paying for inspections and possible repairs a lot of people would rather buy a new or newer car. This creates opportunities for many used cars in Japan to be exported overseas. This is a benefit to our overseas customers. You can save a lot of money from the Japanese auto auctions. Let me give you an example. 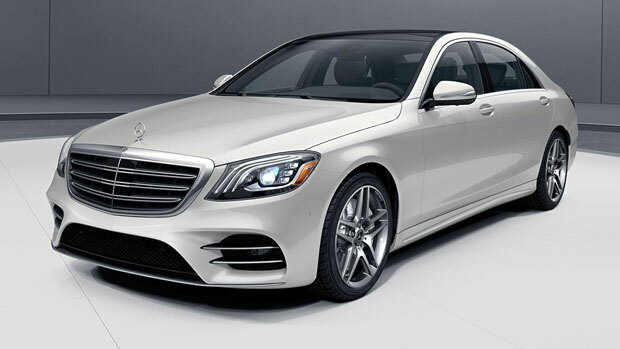 This 2015 Mercedes-Benz S400 AMG SPP Exclusive that has less than 6,300 miles on it sold for 51,000 USD. According to my research dealers are asking around 90,000 USD for the same type of car with similar miles. Who wouldn’t want to save 39,000 USD? But what about the quality you might ask? Remember Shaken? Every car must go through a strict inspection process . Plus, every car is inspected at the auction by professional inspectors so . The auction sheet that comes with every car will give you details about the car. Provide Cars members will get free translations per request. Why buy from dealers when you can buy directly from the Japanese auto auctions?